We're back in Hyrule this week, bringing you a riveting discussion of big ol' horses, the Hylean Real Estate market, and Zoran biology. We've also got some serious questions about Link's moral fiber and tardy attendance. You can find our first Breath of the Wild debrief right here, and all of our debriefs in our handy navigation bar. If you're playing Breath of the Wild right now, consider playing along with us! Next time on the podcast, we'll be tackling the desert divine beast (yes, we called them Ancient Guardians in the podcast. Woops.) Join us! 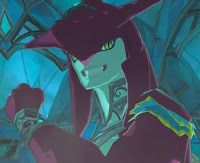 - Music: "On Horse (Day)" and "Champion Mipha's Theme" from The Legend of Zelda: Breath of the Wild Official Soundtrack.